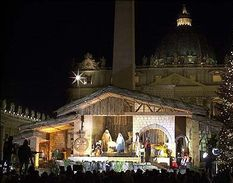 The Vigil Mass of Christmas has a particular feel to it, which is perhaps best revealed by looking at the Alleluia verse: ‘Tomorrow there will be an end to the sin of the world, and the Saviour of the world will be our king!’ That word ‘tomorrow’ is the key. To keep vigil is to watch and wait for something, in joyful hope. Understanding this will help in understanding what the readings of this evening are doing. They are about Israel, the people that were watching and waiting for the coming of the promised Messiah: this is why we hear words like ‘Zion’, ‘Jerusalem’, ‘the land’, ‘covenant’, ‘David’, and why we listen to the long genealogy at the beginning of Matthew’s gospel. Tonight we are somehow to enter into the longing of Israel, as they wait for the One who was to come. But we wait in the knowledge that ‘tomorrow’ will be the day of salvation, when we rejoice at the birth of the Messiah. There’s a wonderful way in which the Christmas message emerges from out of the midnight darkness as we gather for this Mass: the first words of Scripture we hear tonight are like the beaming of a star through the blackness of night: ‘The people that walked in darkness have seen a great light.’ The mystery of Christmas is this - a great revelation: a light in the darkness, a star through the night, the birth of the Sun of Justice; the showing to the whole world of the love of God, made visible in Jesus. No wonder there is a great throng of the heavenly host shattering the darkness of the cold night on the hillside outside Bethlehem - because the invisible night of sin and sadness is shattered by the light of the Saviour’s birth. Christmas is a very emotive and (in a sense) romantic feast: many of the congregation this evening will come with childhood memories and their own idea of what Christmas is about. It is important that we are aware of this, so that you we can allow the deepest wonder of this night to penetrate through what can sometimes be rather shallow thoughts about the mystery. Remember it is not about ‘then’ - this is about ‘now’ and our salvation. This reading is a prophecy of the restoration of the fortunes of Jerusalem, the Holy City and chosen dwelling place of God. It is great poetry, and should be read as such - pausing after each line and using the colour of the words to create a picture of promise and glory. It starts with a very emphatic line: ‘About Jerusalem I will not be silent.’ there should be a glowing hope in the reader’s voice throughout this, a barely subdued excitement at what is coming, what is going to happen to the Holy City. Enjoy especially the line: ‘for the Lord takes delight in you...’ and the wonderful image of the wedding feast which comes after it. Even though this reading doesn’t actually mention the Messiah, or the Nativity, it still leads us to that mystery, if read as a light of hope coming into the darkness of our night. "Today a Saviour has been born to you." 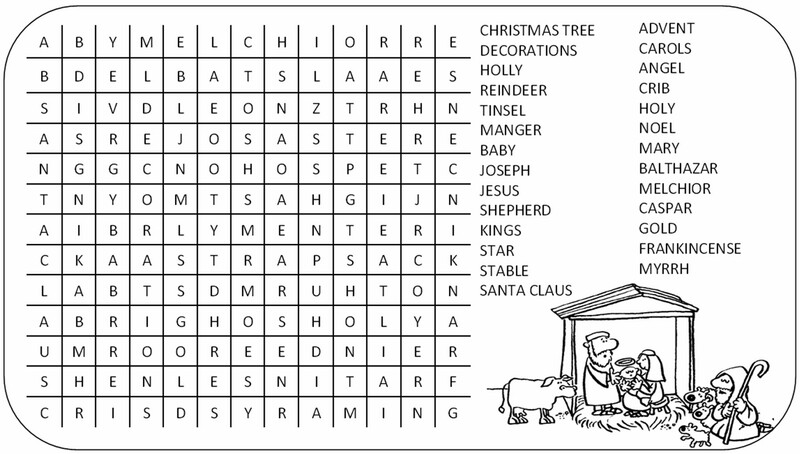 Click on the link to get this festive Wordsearch. Feel free to copy and paste it into your parish publications. Note: these are the standard readings for all Christmas Masses; those from the other Masses (Dawn and Day) may be chosen if they seem pastorally advantageous. In a sense this reading is so obvious that comments here are unnecessary. But with a familiar reading, such as this, the reader has to be on guard not to let familiarity blunt the message. This is a reading of great joy. Take your time with it: grasp the sense of the darkness of Israel – ‘the yoke, the bar, the rod’, and the looming and threatening reference to war. This will allow the message of peace to speak out even more clearly - peace that has no end, justice and integrity. If the reader can realise why there is joy in this reading, it will be read all the more convincingly. The obvious link with our feast comes in the first words: ‘God’s grace has been revealed...’ Allow these to be heard, by pausing after announcing the reading. Then we look at the other, less obvious aspects of the feast: as He has come, he will come again, and our celebration of his first coming is itself a looking forward to the second. Finally we make an important but possibly obscure reference: to the sacrifice of Christ. It could be thought that this refers to Easter, rather than Christmas, but think about it for a moment. All of Christ’s life was a sacrifice - even giving up the eternal glory of his place at the Father’s right hand to be born as one of us is a great act of loving sacrifice. So there is a link between Christmas and Easter, which hides away in this short and simple reading. Don’t miss or ignore it! 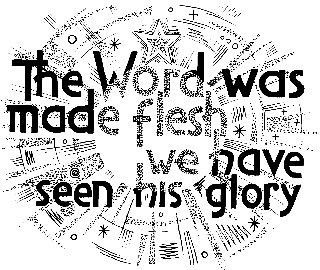 These readings are offered as optional extra readings for Christmas Masses, though the readings for Midnight Mass may be used at all Masses. A short and to the point reading: the prophet proclaims the words of the Lord to his people: a very simple message, summed up in the line: ‘Look, your Saviour comes.’ Read with a simple sense of joy and urgency, calling people to be aware of the Good News of the feast. Be careful with the names in inverted commas: there should be a tiny pause before each name, so that people know you are reading something in inverted commas. Otherwise, this part of the reading comes across as gibberish! Always try to be aware of what people who cannot see the words will get out of your reading of them. In many ways, this is the Christmas reading par excellence: everything is here. First we have the past, God speaking to Israel through the prophets; the we have the sending of the Son, the ultimate revelation of the Father’s love. The ‘why?’ of the Nativity is answered here, as we see that the sending of the First-born was the completion of God’s long and hidden plan. We also have the sense of light and glory surrounding this holy birth, but also the majesty and glory of the Easter Mystery, as he ascends to take his place again. You should read this carefully, and joyfully, as a synthesis of the whole Christmas story: contrast ‘through the prophets’ with ‘through his Son’. Use words like ‘radiant’, ‘glory’ and ‘powerful’ to create a sense of awe. The last sentence should resonate in the minds of the congregation: ‘Let all the angels of God worship him.’ People may come to Church at Christmas to hear a story of a baby in a crib: while that is true, there is a deeper truth of God’s love revealed, which you proclaim here.